Any successful business has to keep an ear to the ground and remain one step ahead of competitors. Savvy professionals recognize an expanding market and develop the products and services to tap into it. 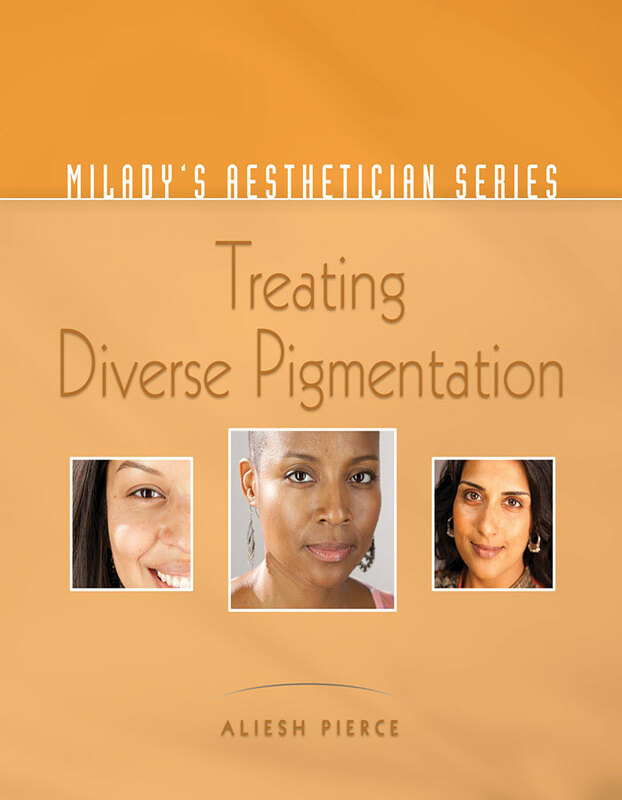 For the aesthetician, that expanding market segment is the multi-ethnic clientele and the tool to help achieve success in this segment is Milady’s Aesthetician Series: Treating Diverse Pigmentation. Building a successful career in aesthetics hinges on the ability to identify and treat the skin concerns of this diverse population. Treating Diverse Pigmentation teaches treatments for skin of color that include: the causes of aging and how it affects each race’s unique facial anatomy; a guide through several different skin analysis classification systems; review studies analyzing the racial differences in the anatomy, physiology, and histology of pigmented skin; and case-by-case studies that help the reader recognize skin diseases and disorders common to people of color. The text was created for licensed aestheticians and other professionals working in skincare, including RNs and dermatologists, as well as students. Considering that the majority of the world’s population is ethnically diverse, the aesthetic professional with an eye on the future will not hesitate to take advantage of Treating Diverse Pigmentation. Addresses specific concerns of people of various skin tones. Provides step-by-step procedures for pigmented skin techniques and makeup application that enhance the features of women of different ethnic backgrounds. Full-color images to illustrate diverse pigmentations and how skin disorders appear in dark skin tones. Introduces several skin typing techniques that help determine melanocytic response to resurfacing treatments. Features detailed treatment procedures for day spa as well as medical spas. Provides tips on attracting and marketing to a diverse clientele.